Public lecture on November 1, 2010. 6:30PM. Above: Event poster by Luis Fitch, UNO Branding, 2010. We are eagerly awaiting the upcoming public lecture by our esteemed guest Luis Fitch on November 1st, 6:30PM at MCAD, in Auditorium 150. Attendance is free and open to the public, all are welcome to listen to this internationally acclaimed Minneapolis-based designer share and describe his work. MCAD graphic design students Mitch Green and Michael Aberman volunteered their time to silkscreen Luis’ poster, and have shared some interesting process experiments below. Above: “Tongue-Twister” experiments by MCAD students Mitch and Michael. 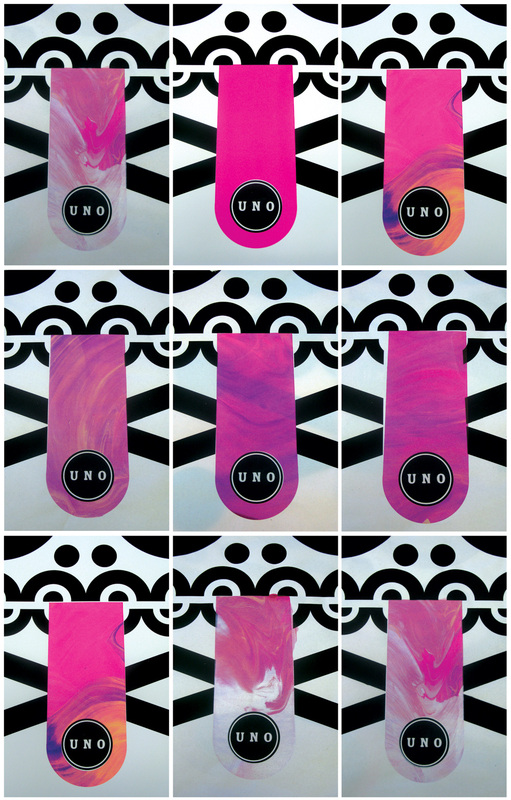 Above: Luis Fitch, UNO Branding, 2008. My apologies for the poor quality, this was a quick snapshot from Luis’ outstanding recent show in St. Paul, which still captures his biting humor. 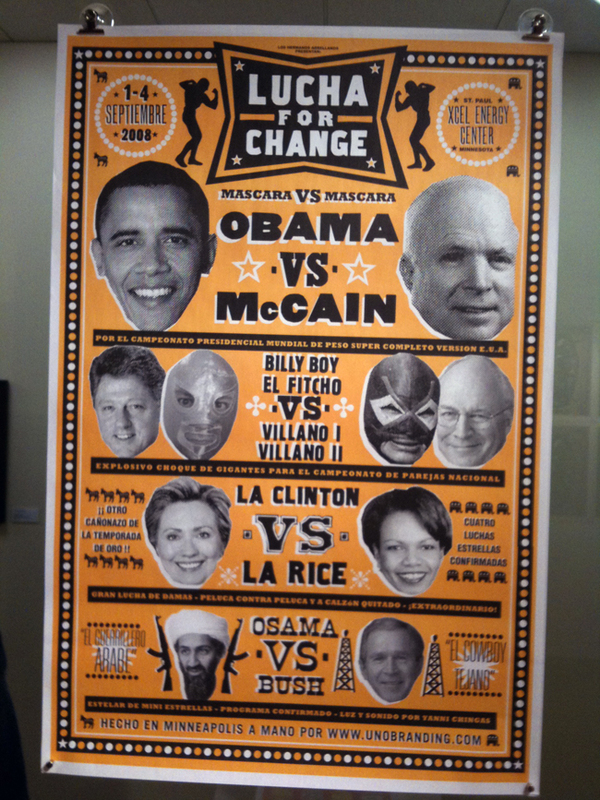 Please see this previous post with more striking examples of Luis’ poster work. For more information on Luis’ lecture, see the Facebook invite page here. This entry was posted by Erik Brandt on Thursday, October 21st, 2010 at 10:29 AM	and is filed under Aktuell, Education, Geotypografika, Globalization, Graphic Design, Illustration, International, Internet, MCAD, Minneapolis, Musica Viva, Typografika, Typography.